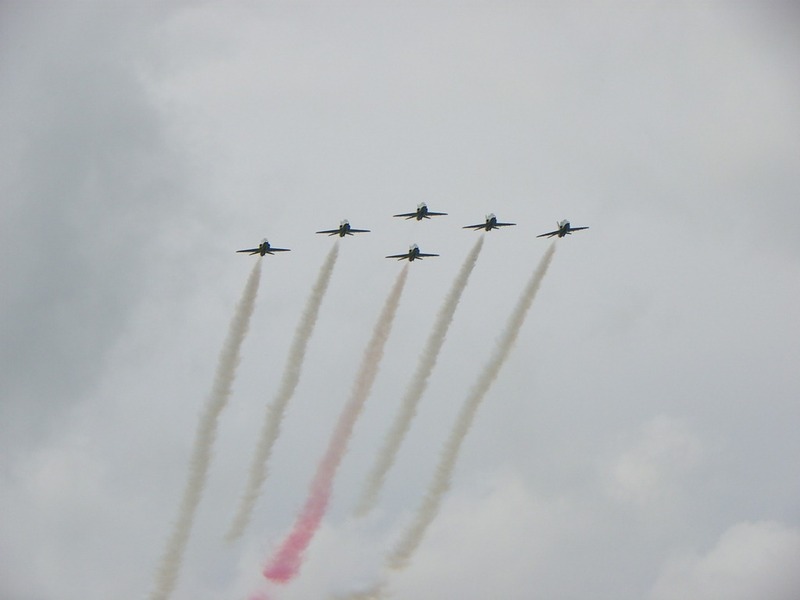 This years Yeovilton Air Show took place three weeks earlier than normal on 23rd June. Like so many other events around the country, the Olympic Games are having a knock-on effect to the usual calendar fixtures. 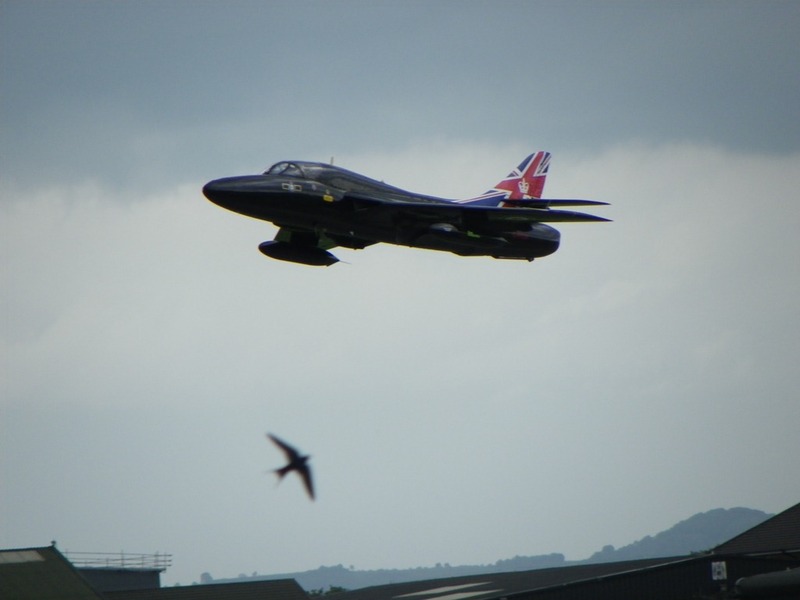 Fortunately as my home overlooks and affords me a clear and uninterrupted view of the Yeovilton Air Base, changes to the calendar do not effect me. 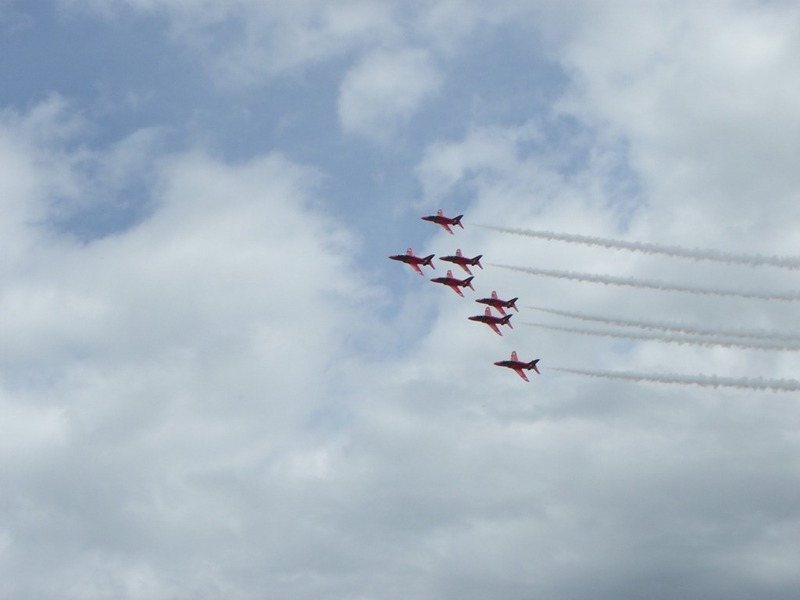 The Air Show is always a good excuse for inviting friends to my home for the day to enjoy not only the show, but also to a convivial time in good surroundings with food and a barbeque throughout the day and well into the evening. I sometimes wonder if we exceed the hospitality marquee provided on the air base. 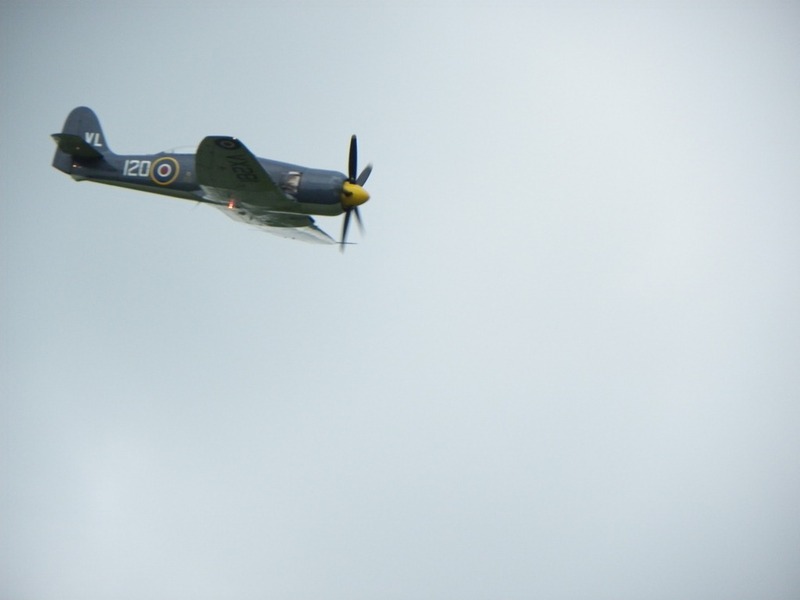 Enjoyable as the show was, I personally found the pace of the show somewhat lacking compared to previous years which is a pity as I know organisers and staff on the base put in many hours of hard work and make tremendous background efforts to ensure the show is a success. Never-the-less some of the flying displays proved spectacular and were a real joy to watch. 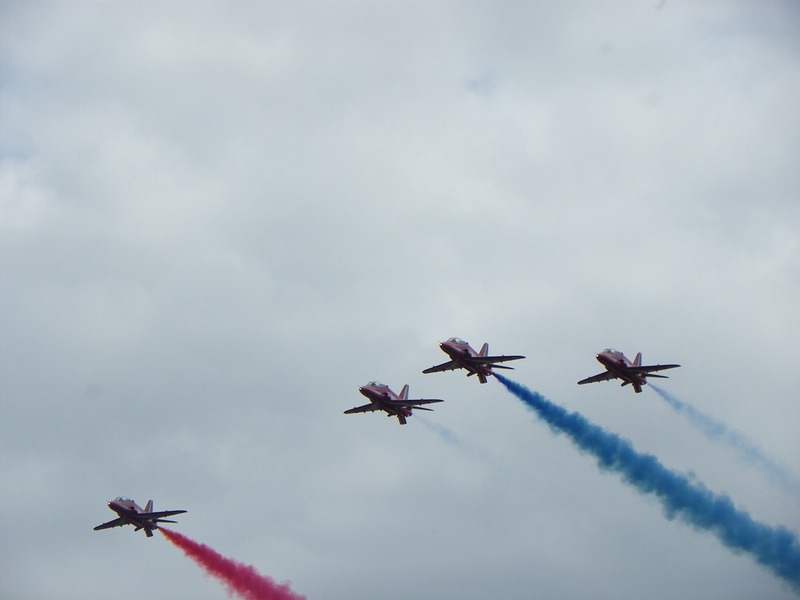 The Red Arrows provided everyone with their normal dazzling performance, it is hard to believe it would be humanly possible to improve on what is already split second flying perfection. 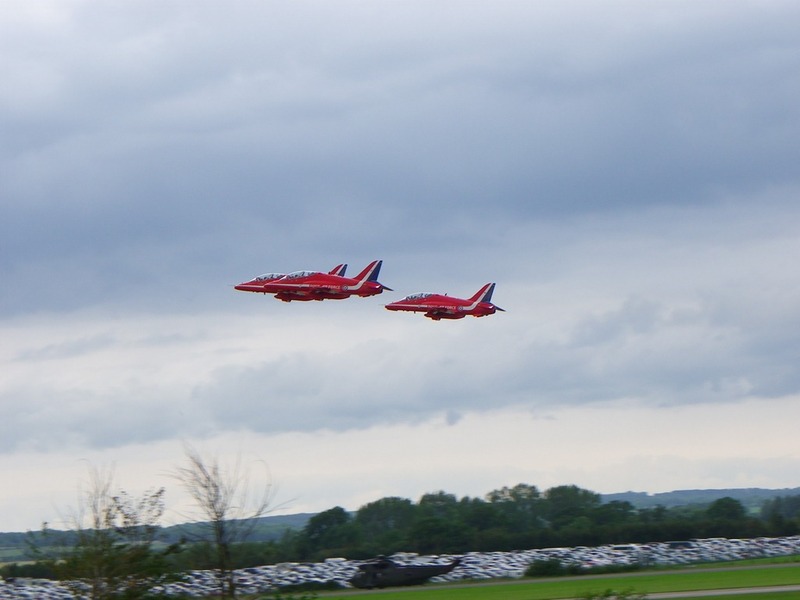 It is also difficult to write about such a crack flying team as one really needs to watch their flying displays to fully appreciate their skills. 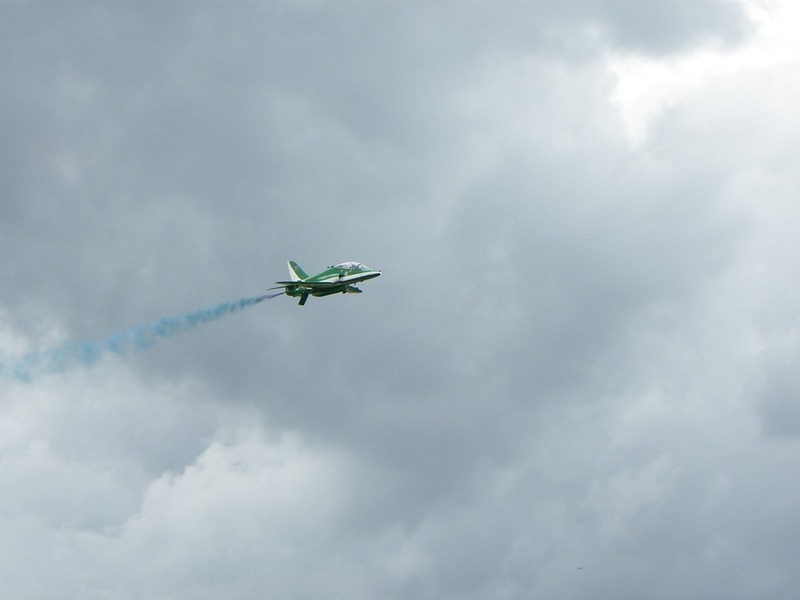 This year also saw the appearance of the Royal Saudi Air Force display team known as the Saudi Hawks. 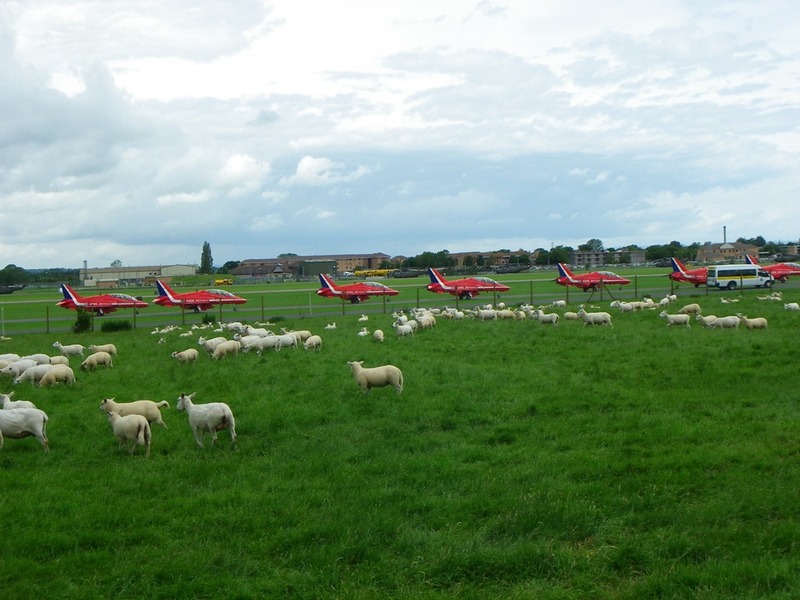 Like the Red Arrows, they too use the Bae Hawk as their aircraft of choice. 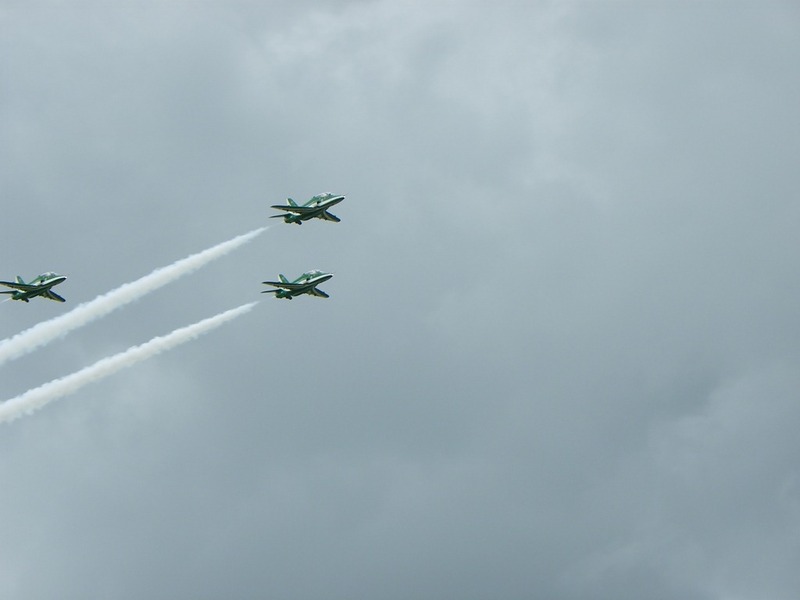 The Saudi Hawks with their green and white striped aircraft gave a more than impressive and thrilling display with their mastery of tight formation flying and aerial aerobatics. 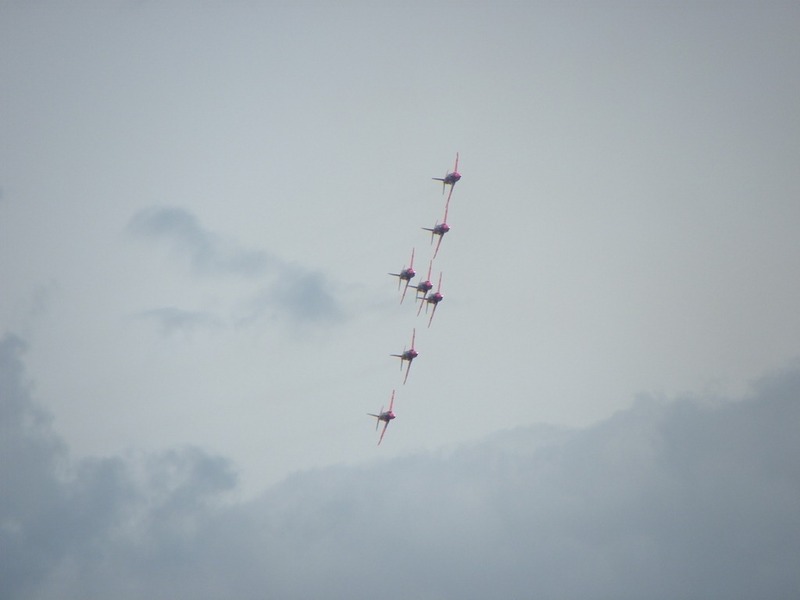 Any team and pilots that can perform a corkscrew movement around each other as they converge at high speed has my full admiration at their exceptional flying skills. 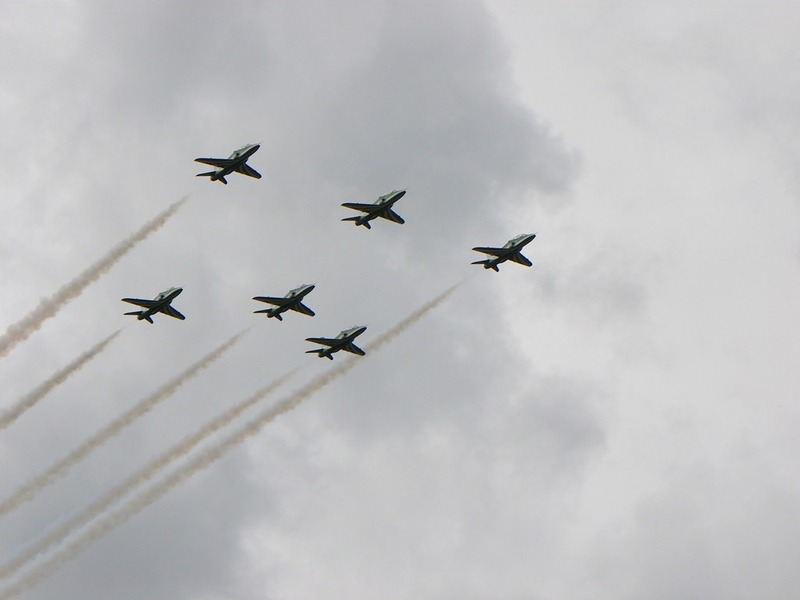 I do hope we see more of the Saudi Hawks in the future. 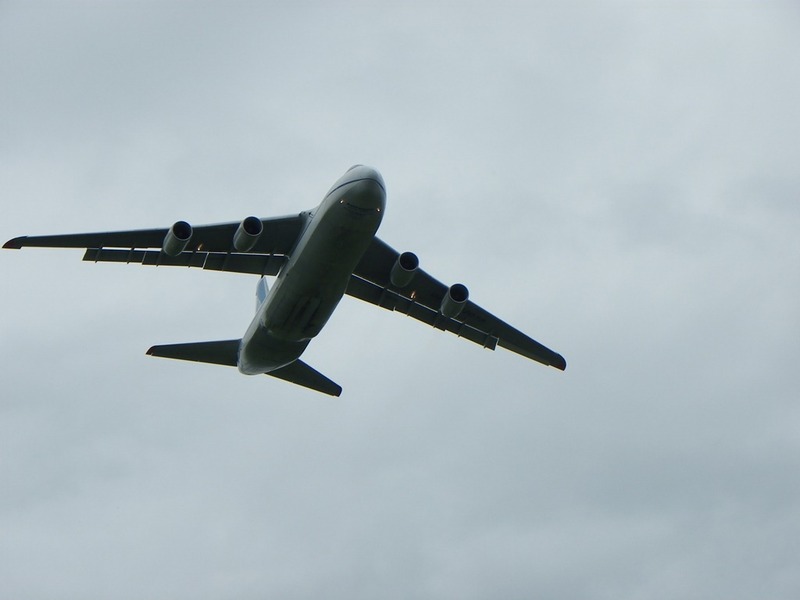 A visual feast for the eyes was provided by the Russian Antonov-124. 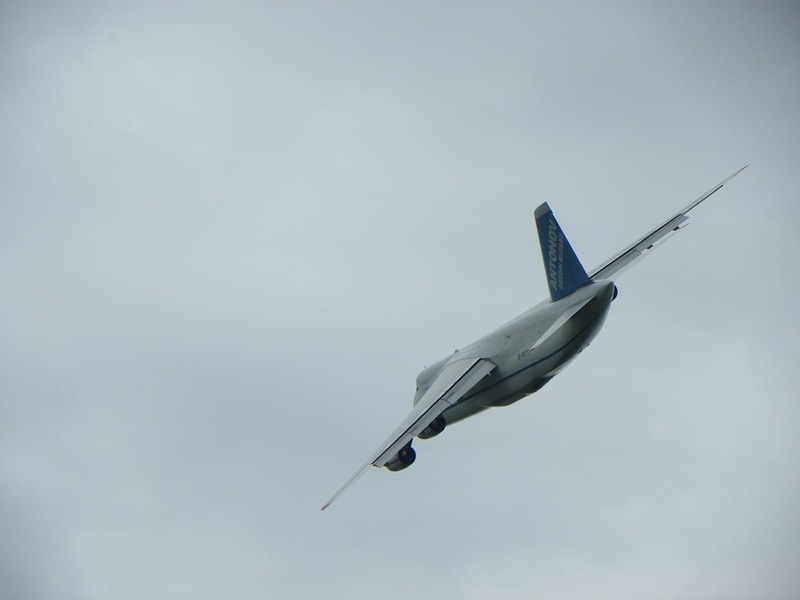 This massive and graceful aircraft, previously the largest aircraft in the world until it’s successor the Antonov-225 was built, graced the show with a aerodynamic display of elegance. 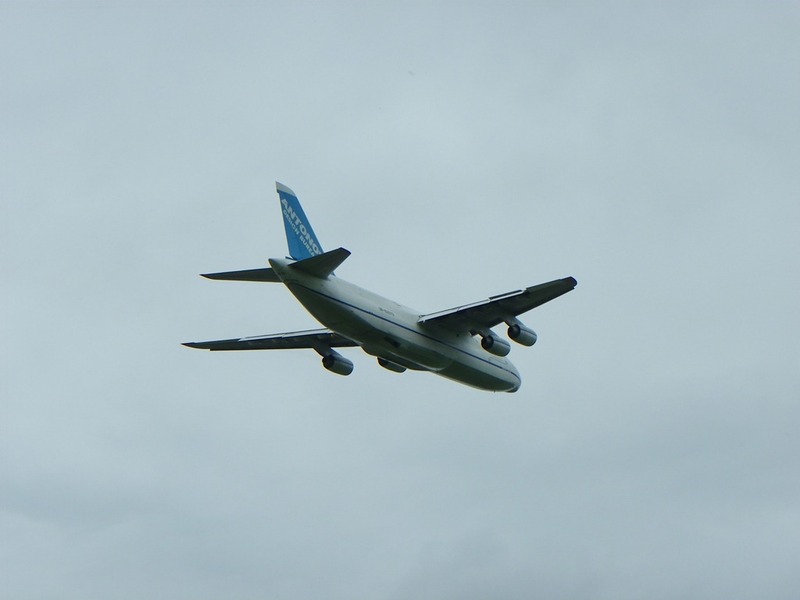 The Antonov appeared to fly quite slowly bearing testimony to the tremendous amount of lift provided by its massive wings. 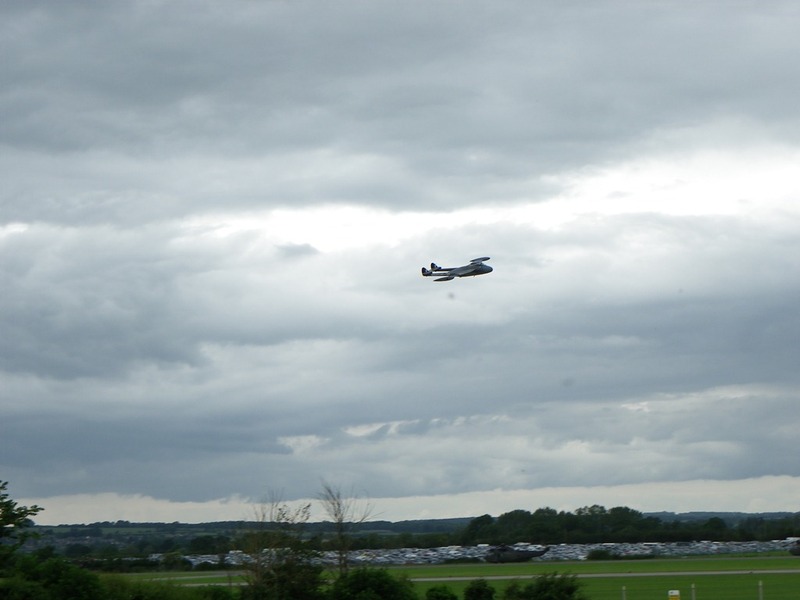 The Antonov did not land at the show and did a airborne arrival and departure. Unfortunately it was all too quickly gone. 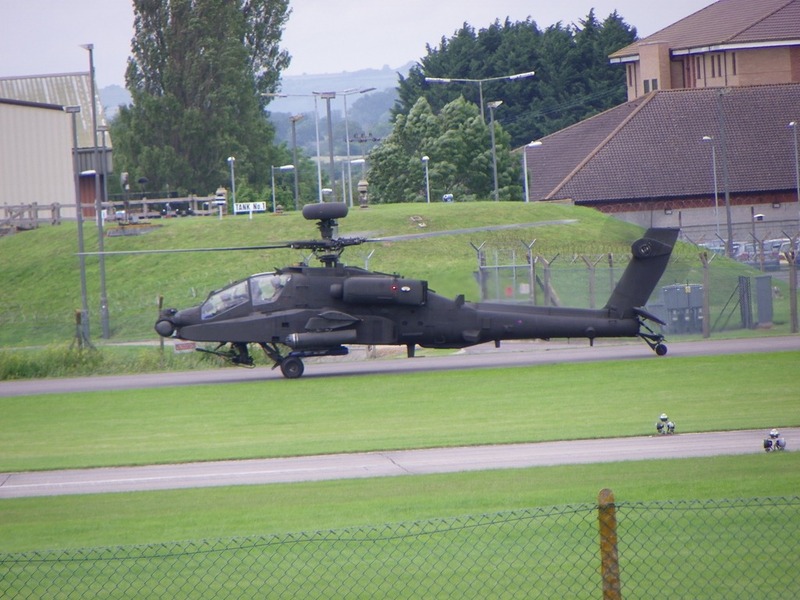 I have however on occasions seen this aircraft land at Yeovilton and its size can be truly and fully appreciated when it is on the ground. The multiple wheeled undercarriage of this mighty and graceful beast always reminds me of the trailer of a Pickfords low loader used to transport large and heavy plant around the country. The finale of the show was the simulated attack by helicopter borne Marines on a ‘enemy’ fort. Credit has to be given to the rapid change of tactics employed at the beginning of the display when one of the troop carrying helicopters clearly developed a fault requiring it to return at the very start. Rather than proving an embarrassment, this unfortunate technical hitch proved the versatility of the commanders in immediately adapting and utilizing their resources to overcome the problem. In a real conflict such unforeseen problems are likely to occur and such adaptability is likely to prove vital. It does also show the professionalism of the commanders in the field to cope with fast changing scenarios.